Alfa Romeo GTV6 . 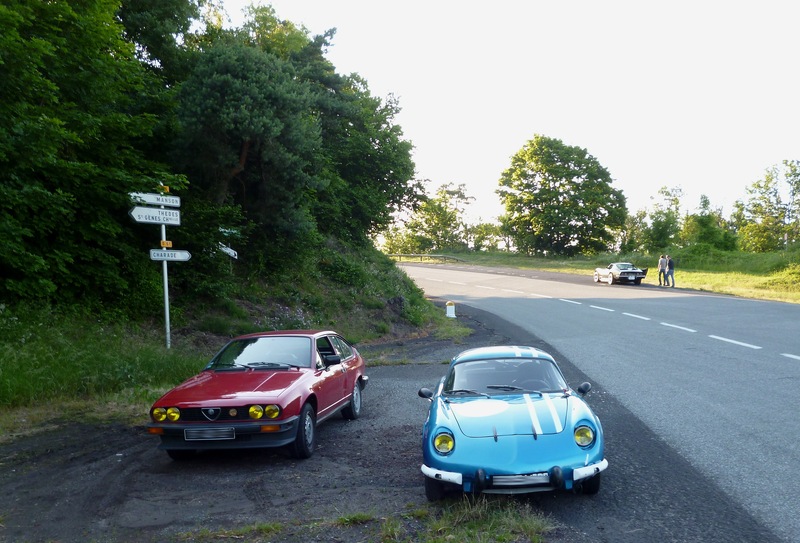 Alpine A110 ( the classic versions mind you ) Vette in the background . Whats not to like ? Not sure if it’s a GTV6 – it doesn’t have the bonnet hump the GTV needed to clear the plenum on the V6. I suspect it’s a standard 4 cylinder GTV. Stupid Me !!! You’re spot on virtualmark . You’d think my having owned one ( 77 Alfetta GT w/Autodelta upgrades ) I’d of noticed that . Its definitely not a GTV6 . No bulge . No Six ! …… Syed ! Give me a good virtual smack for my errors !